When you’re committed to that arduous week-long road trip out of town, it’s important to look the part. This means donning the right apparel that screams out your love for outdoor traveling. If you’re in the market for a T-shirt made just for this purpose, to bear with the issues of the great outdoors and then some more, follow this guide to pick the best shirts. Make sure to find a shirt that actually fits you. If you’re unsure about the shirt size, go to your tailor or local department store to get your measurements. These pros will measure your neck, chest, and waist to help you find the best shirt. One note before we start: we own and wear a lot of RV t-shirts, so rest assured, you’ve come to the right place to fine-tune your wardrobe. Retiring in your RV may not be on the forefront of your mind, but the statement does drive an important message to your friends – that you’re a fan of the great outdoors. Other than this tiny detail, there isn’t anything too spectacular about this t-shirt. The RV artwork is etched onto the fabric and won’t be fading away any time soon. This RV t-shirt comes in eight different solid colors, ranging from pitch black to brilliant red, depending on your taste. The fabric is made from 100% preshrunk cotton except for the red and grey t shirts which are a blend of cotton and poly. In both cases, the material is known for its durable weave that is extremely soft despite being so durable. Click here to buy this t-shirt. Sure, the caption on the t-shirt contains a rather cheesy message, but it doesn’t hurt to express your playful persona every now and then. The t-shirt is available in many different colors and doesn’t have to be confined to any particular gender. What we really liked about this RV t-shirt is that it can be customized in any way you like – so you can shoo away the captioned message if you’re not on board with it. Your choice of caption message will bring its own flair to the table. This t-shirt is good enough for most uses, and it can be used for layering, looks good enough to wear on its own, and is ideal for use for lazy days spent inside the RV. 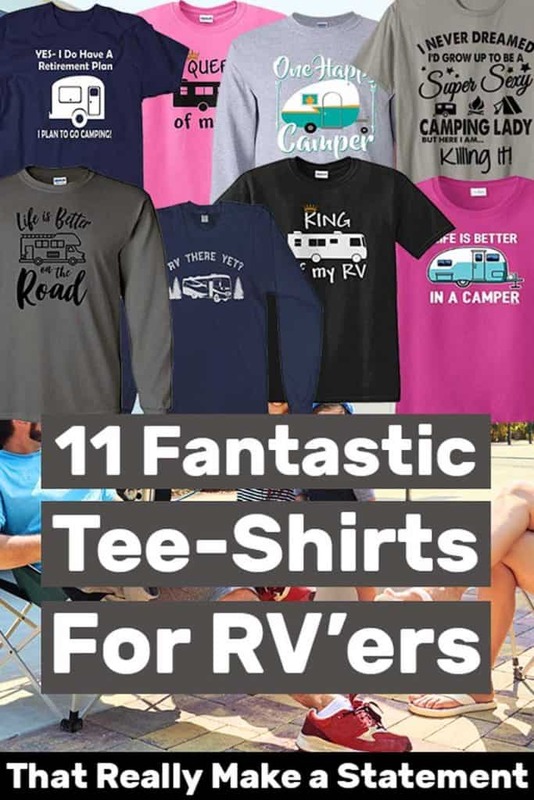 You must be noticing a pattern by now, that almost all RV t-shirts have a cheesy caption on the front with an actual picture of an RV. This t-shirt is not much different than other products on this list. It is designed specifically for men ranging from Small all the way to 5XL. Furthermore, there are 9 different colors to choose from. You can go with a neutral color such as gray or black, or go all out with a splash of red or yellow. The t-shirt is made using cotton that can get softened over time. So the more you wear it, the more comfortable it gets. Other than that, all design elements of this t-shirt are rather basic in nature, and so is the price. It is perfect for wearing outdoors. If the name already doesn’t suggest, this t-shirt is made for women. The t-shirt’s length, collar, and cut and other aspects of it are basic, just what you would expect from a good slim fit t-shirt. The only exception to this rule is the caption on the front which should do a good job at expressing your love for adventurous thrills. A picture of RV solidifies that it’s built for owners of RVs. There’s an option for men on the list too, but the captioned message may not be everyone’s cup of tea. The t-shirt is available in five different solid colors, three of which are different shades of grey, one is white, and one is blue turquoise. Rest assured, this t-shirt not only looks good but also feels comfortable thanks to cotton and polyester material. Contrary to what the caption on the front may tell you, the t-shirt itself is unisex. So it can go well on either gender (as long as you don’t mind the caption!) The manufacturer also offers a custom t-shirt service, so be sure to contact them separately for a custom order if you want to customize the caption. This t-shirt will fit your body well and takes the more liberal approach that is neither too slim nor too loose. The garment has a flexible, soft feeling that would be great to wear on days when you just want to stay comfortable when you’re traveling outdoors. ThisWear is one of the more popular apparel outlets on Amazon and known for their comfortable clothes that are the perfect crossover between style and durability. The t-shirt is available in five different solid colors. Four of the t-shirts can be had =in 100% preshrunk cotton, while the grey t-shirt is a blend of cotton and poly in the 90%/10% ratio. The caption is printed using advanced technology that is printed directly onto the garment, so it won’t be going away any time soon. The t-shirt is cured using heat-treatment to ensure longevity and durability. This t-shirt is going to remain wearable even after 20 hours of putting it on. The fabric stays on your arms and torso with enough softness to not feel unpleasant and clingy. All in all, this t-shirt gets full marks from us. Click here to buy this t-shirt here. Another t-shirt designed for people who just couldn’t do without camping. This t-shirt features a fun message with a comic silhouette of an RV motorhome. The t-shirt arrives pre-shrunk, so make sure to choose the size that will fit your body right out of the box. Spreadshirt claims their t-shirt is available for most body types, although the fact that it has been side-seamed and contoured will look more feminine. The second t-shirt by DJ’Z Creative Designs to feature on our list, this product has all the bells and whistles you would expect from a durable t-shirt that leverages technology, and this includes ultra softness despite being highly durable. If you’re not comfortable with the caption on the t-shirt, you can either get it removed or customized by contacting the seller separately. 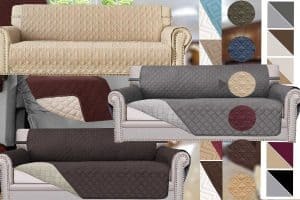 There are 9 different color options to choose from, including ash grey, white, violet, different shades of blue, and red. The t-shirt is a great lightweight option making it perfect for everyday use, or if you’re on the go in your RV. The perfect t-shirt that won’t shrink or tear after a handful of washes, thanks to the 100% cotton fabric that is durable and comfortable. T-Shirt Chick, the manufacturer claims to make use of the latest DTG technology to ensure the color and caption on the t-shirt doesn’t fade over time. This t-shirt should fit over your torso and shoulders like a glove, provided you choose the right size. There are eight different color options to choose from, including orange and grey. This is another manufacturer with a playful spin on the “RV there yet” caption. The artist wanted to truly capture what one really goes through during the journey, and decided that pairing up the motorhome with a handful of trees would be a great option. The t-shirt is available in seven different colors and different sizes ranging from S to 3XL. Its fabric is made with preshrunk cotton. 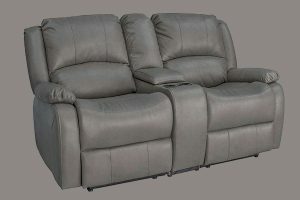 If you want something comfortable and affordable, then you won’t go wrong with this option. Another offering by T-Shirt Chick makes it to our list. This super luxurious t-shirt will last the wearer a long, long time after purchase. The t-shirt is perfect for everyday use when you just want to lounge around in your house but also manages to look aesthetically cool when you’re on the great outdoors. The caption will help drive home the message that you truly do love camping, it reads, “Happy Campers” with the picture of a camper on the side. There are eight different color options to choose from including white and grey. We hope you enjoyed this selection of RV-themed tee shirts! We enjoyed curating this collection for you. Any of these would make great gifts for RV-loving friends, or just for yourself! If you’re looking for more RV-themed gift ideas, take a look at our post about RV jigsaw puzzles too.